Dehradun, 12 Apr: The 4th Inter-School Golf Championship concluded in Selaqui School, here, today. Junior golfers from various schools participated and exhibited their excellence in the tournament. 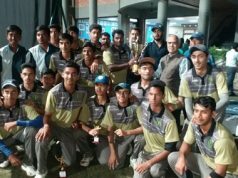 The Doon School won the Team Trophy by winning the play-off against Selaqui School. In the under-10 year Category, Samriddh Chand Thakur (8) from St Patrick’s Academy, Clement Town, won the trophy with a big margin by defeating Aditya Bali (9) of Brightlands School. In the above 10 years Category, Ayush Pandey (15) from Asian School won the 1st position. 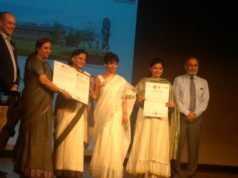 Tanishta Shah got the 2nd position, while Harsh Pegwal won the 2nd runner-up position. The Maximum Birdies Award was given to Harsh Pegwal and straight drive shot to Aditya Bali. Amandeep Johl, the National Golf Coach, and R Sarfuddin gave away prizes to all the winners.